Major US Beer Distributor Revamps Workflow to a Web-to-Print System Powered by PersonalEffect StoreFlow Pro. Del Papa Distributing automates Point-of-Sale marketing collateral customization and print production for over 70 different beer brands. "Our manual system was too cumbersome and our designers were wasting valuable time doing work that could be automated. We had to find a much better way to get the collateral out to the stores faster." Founded over a century ago, Del Papa is a Texas-based, family-owned company that distributes over 10 million cases of beer annually, from 30 suppliers. More than 375 employees work at headquarters in Texas City and two other distribution centers. Del Papa run an onsite In-Plant operation that prints all the marketing collateral for hundreds of beer brands. 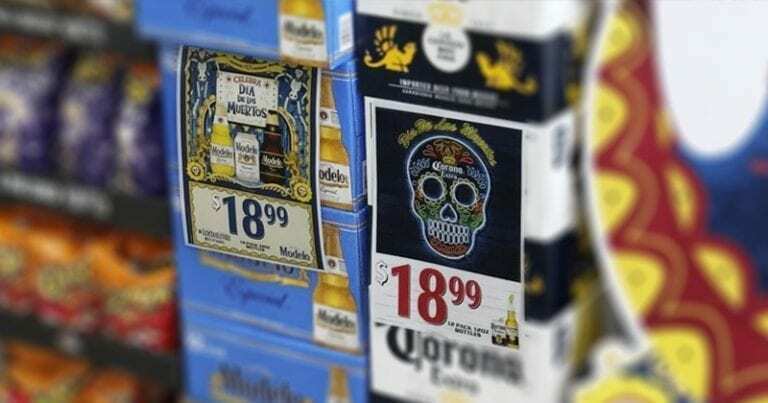 These include store signage, price-tags, beer-case carts, cooler wraps, labels, packaging, neons and much more. Del Papa wanted to give their Sales Reps a new online marketing portal for them to easily order customized Point-of-Sale marketing material on the road. These Sales Reps needed to customize and print marketing collateral for each of their 73 brands, including Budweiser, Bud light, Corona, Michelob Ultra, Natural Light, Steller and many more. In the past, the campaign items would change each quarter but now there is a different campaign every month for every brand. For instance, Budweiser might have a military campaign followed by a summer campaign, a fall campaign and holiday campaign yet Bud Light needs a summer campaign followed by a football campaign, a basketball campaign and a Mardi Gras campaign. For each new theme, the pricing and messaging also needed to be updated for every different print piece. Del Papa’s Sales Reps were ordering their marketing material from an online excel form. Users would fill out their requirements, which would be sent electronically to the designer. The designer would grab the job, create it using Corel Draw software and send it manually to print. The designers were struggling to keep up with the constantly changing themes and high turnaround. Once the design was ready, each piece would be prepared and printed manually on three older printers that could each only print on one size substrate. This meant they could only run three jobs at a time. The process was painstakingly slow and inefficient. "We built an internal online marketing portal store for all our sales reps to access on the road. We have so many different brands and the turnover for marketing collateral changes so frequently. We needed a smart way to automate our workflow!" 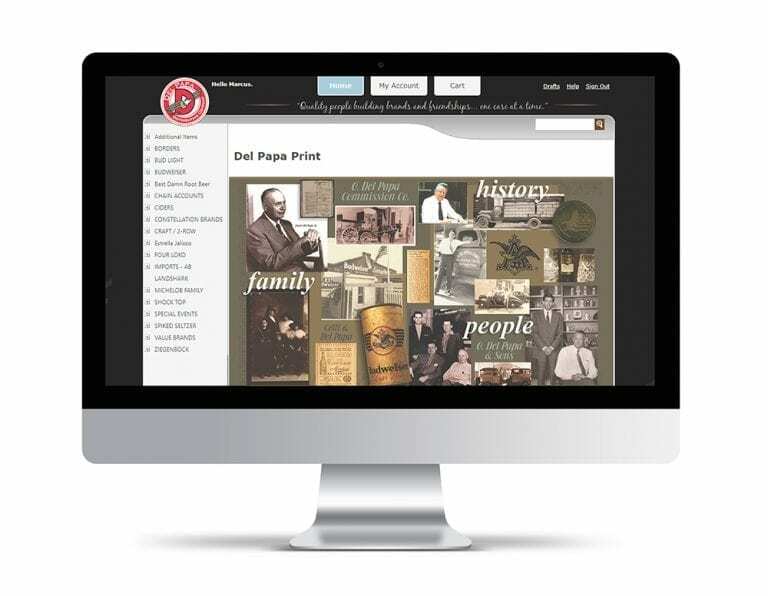 Del Papa revamped their workflow to a Web-to-print system powered by PersonalEffect StoreFlow Pro from XMPie. With StoreFlow, they were able to quickly build and deploy a marketing portal for their sales representatives to access the marketing collateral remotely and often on mobile devices. By using this platform, instead of customizing each document one at a time, Del Papa could produce and maintain customizable templates to improve the experience for their sales reps. This new workflow reduced the time it took to create and distribute all Del Papa’s marketing material by an incredible 80%. StoreFlow includes the Xerox FreeFlow Core pre-press automation module, enabling pre-defined multi-step workflows to automate pre-press functions. At the same time, they also upgraded their print engine to the Xerox Color C75 Press. For the design stage, even though Del Papa was still receiving the original design documents in Corel Draw, they found that they could still work within Adobe InDesign to add the variable data elements to the designs before uploading them to their marketing portal. The new Del Papa Web-to-print store is filled with over 400 original branded templates for the local sales reps to access and customize while they’re on the road meeting with each customer. Each brand has different campaigns running each month and the sales rep can go online, log-in, select the templates they need, edit elements such as the price point or offer details and produce a PDF document to preview. When they check out, their order automatically prints on the Xerox C75 and the promotions are delivered with the beer shipment. Del Papa experience over 200 logins a day leading to around 100 orders each day. By using templates, the beer companies retain full control of the brand assets guaranteeing compliance with the brand guidelines. Each piece can be customized according to the immediate requirement of the sales rep but the overall design remains protected. 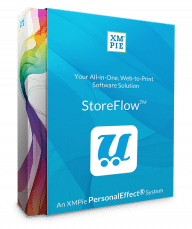 PersonalEffect StoreFlow is an industry-leading Web-to-print system that allows print service providers, agencies or enterprises to easily set-up full-featured e-commerce stores selling anything from hats and shirts to static print items, fully personalized items and complete marketing campaigns. It can be used with any print press, enabling providers to efficiently process a high volume of personalized print. Since Del Papa introduced StoreFlow in 2015, the designers touch 75% fewer jobs, leaving them more time to work on the jobs that can’t be automated. Total turnaround time on jobs has been reduced from 10 days to 2 days. Marketing success hangs in the balance depending on how quickly brand theme collateral can be obtained and utilized in the field. Del Papa’s print shop works in a need-it-now environment, if they couldn’t get the collateral to field promptly, they would miss out on case sales and new item opportunities. In the world of Amazon next day delivery and iTunes or Netflix, printers need to adopt a model that gets end-users their materials in a 48-hour window. Many of Del Papa’s suppliers use Corel Draw instead of InDesign as their design software.  Del Papa could still use these Corel Draw output files in Adobe InDesign to add the variable data elements to the designs before uploading them to their marketing portal. They set up an efficient conversion workflow to process the documents and reuse templates when possible. Del Papa’s designers learned the best design techniques to improve performance and boost output results. These efforts were noticed by the sales reps who gave much higher feedback scores for speed.